Boende finns på Vidinge Gård, som också fungerar som Fiskecenter för Strömfiske Alsterån. Här finns boende i rum elller lägenheter, med restaurang, uteservering eller kök för självförsörjning. 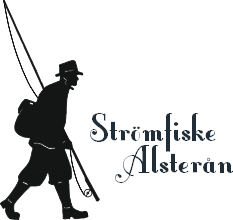 Welcome to Strömfiske (Streamfishing) Alsterån! The beautiful stream Alsterån floats through Smålands green and deep forests, a fishing idyll right in the heart of the Kingdom of Crystal (Glasriket) in Småland. 15 km of the stream is part of the area called Strömfiske Alsterån, where a large part stretches through unsettled wilderness. Here is an original strain of brown trout which is strengthened by yearly release of chosen local strains of high quality. Our part of the stream varies from wild flowing sections, at times places that are difficult to reach, through wild nature to slow flowing areas with dams and in a couple of places there are landing stages available. The stream is divided into fishing areas, suitable for well qualified fly fishing but also in a couple of areas naturally offering more easy accessible fishing. 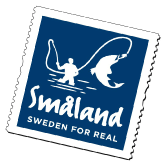 Strömfiske Alsterån offers a great fishing experience for the pure fly fisher as well as spin fishing. Strömfiske Alsterån has the ambition to be one of Swedens premier fishing areas for brown trout. The guests are welcome to stay at Vidinge Gård guesthouse, situated a few km north of the stream, where we are also running the Fishing centre (Fiskecenter). At Vidinge Gård there is also the possibility to enjoy good, homecooked food, with the speciality of lamb from own breading and game specialities from local hunters. The natural population of brown trout in the stream is supported through conservation of nature and new spawning areas. In some part of the stream there is also pike, perch, bream, tench and roach as well as signal crayfish. The fishing season starts beginning of April and and stretches until the end of September. Throughout the whole area, brown trout is only allowed C&R (Catch & Release). All trout must be handled as gently as possible and be returned to the water. Pike and Perch can be kept. In the streaming part of the water, streamers are recommended during spring and autumn, and dry flies during the summer. In the slow flowing areas spinner can work well. All hooks must be without, or with well flattened, barb. Only single hook allowed also for spin fishing. At Vidinge Gård we have shop with barbless flies and spinners, barbless hooks and other equipment for sale. Angle fishing is not allowed. Along the area there are several places with toilets, barbecue areas and wind shelters, where staying over night is also allowed. For fishing of crayfish, please contact Vidinge Gård. We can also offer guiding along the water to show you to the best spots, available for half or full day. Courses can also be arranged, equipment can be rented if required, please just contact us for information. We are available for you at Vidinge Gård, phone +46 481 63237 or mail@vidingegard.com. 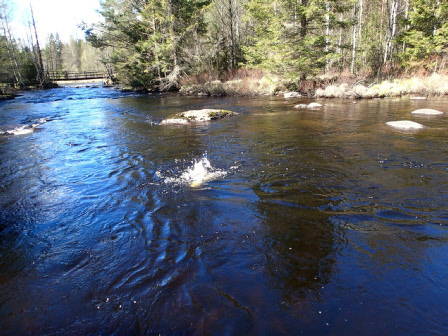 Welcome to our beautiful stream in Småland!